Overall, five years after its release, Blizzard has proved that Diablo 3 still has legs (and can still steal hours of my life). Rise of the Necromancer is out now on PC/PS4/Xbox One, and is $15 (for those who own Reaper of Souls). It’s been over three years since Diablo 3’s last big expansion, Reaper of Souls, and five years since the games initial release. 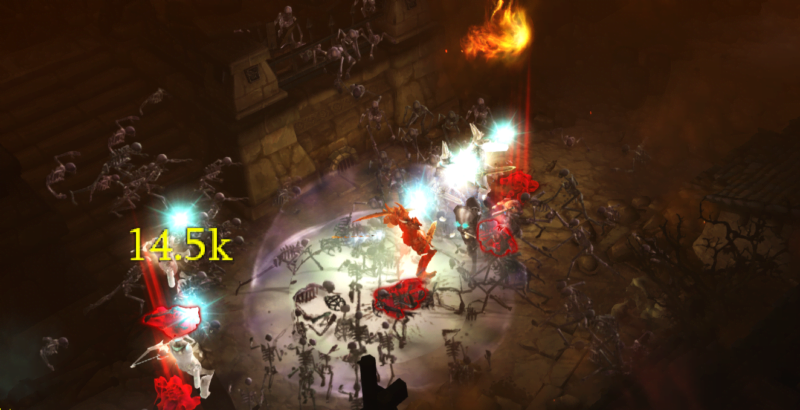 Players may have initially been disappointed when Blizzard did not announce Diablo 4 at Blizzcon, but they have released some great content for players in the meantime. The necromancer has finally made its triumphant return to the Diablo series, but that’s not all that’s in this latest piece of DLC. While the pack is first and foremost about Diablo 3’s new class, there are a host of other small features for players to be excited about. 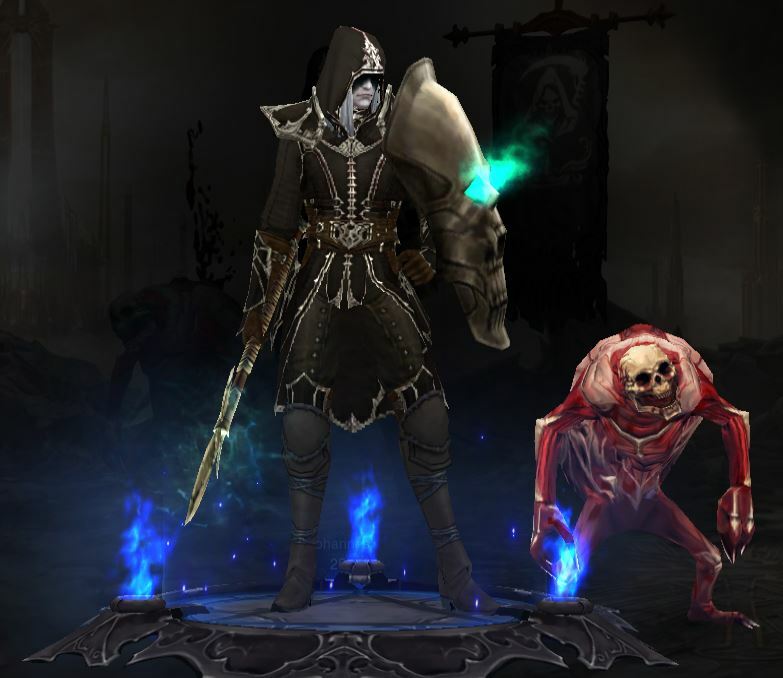 The necromancer, a returning fan favorite from Diablo 2, is a spellcaster, focusing on magic that renders opponents into a gory oblivion, and subsequently raises them as allies. In that vein, the necromancer is one of the most entertaining classes to play in Diablo to date. There’s just something about raising a literal tidal wave of the dead to swarm an enemy, and then exploding its bloated corpse to kill others that just feels satisfying. Each of the necromancer’s abilities feel unique, and bring something to the table that sets the class apart from others. The necromancer feels powerful right out of the gate, and is sure to make fans of the Diablo 2 class happy. My army of corpse spiders follows me anywhere… Even when I run at the edge of the map. In addition to the new class, Blizzard also added three new zones: The Shrouded Moors, Temple of the Firstborn, and The Realms of Fate. The Shrouded Moors, is the bigger of the two, but still isn’t huge. It’s a smaller section of the Act II map, but there’s a lot of secrets and detail put into the area, making it fun to explore. 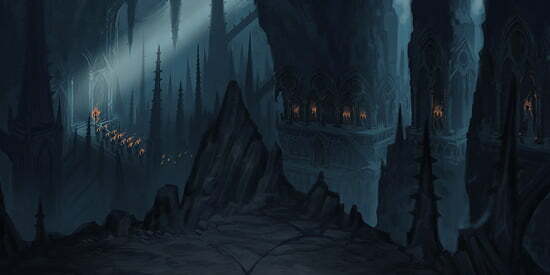 This section eventually funnels players into the underground Temple of the Firstborn, which also feels unique, and fits well with the necromancer aesthetic. 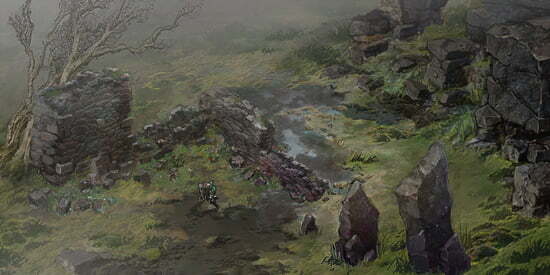 The Realms of Fate, which are remnants of the Prime Evil’s assault on Heaven (Act IV of the main game), are dark mashups of other sections from Diablo 3, with fresh bounties and quests for players to fill. Finally, Blizzard has added challenge rifts. These are weekly timed challenges, where players are tasked with beating a level using a premade build. Blizzard’s idea was to create a rift where all players were on equal footing, and add a new level of competition to the game. While the rewards for challenge rifts are unclear as of yet, any opportunity to grind for some of the new necromancer gear is a welcome one.